The other day my squirts and I were wandering the halls of the Little Library after playing at the adjacent park. After my oldest collected a pile of American Girl magazines and my youngest discovered Brian Selznick’s Wonderstruck, I found my way to the memoirs as I often do. 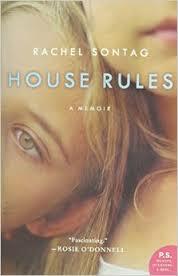 Running my finger along the spines of the hardcovers, Rachel Sontag’s House Rules caught my attention. Pulling the book in question from the shelf and flipping to the back cover, I discovered the author is a fellow Illinoisan, so I was sold. Leaving the library juggling thirteen items, we were all ready to return home and snuggle in for some quality read time. In House Rules, Sontag retells her abusive childhood with vivid imagery and heart wrenching dialogue, words no child should ever have to hear from the mouths of her parents. Her parents, a medical doctor for a father and a social worker for a mother, chose to emotionally and physically abuse Sontag while abusing Sontag’s sibling via neglect. Sontag herself has a hard time remembering if her sister was with the family on various outings or instances of abuse, but she verifies the sister’s existence by noting her presence in pictures; thus concluding, she must have been present, too. Thus, when Sontag’s mother calls and pleads with Sontag to write a general apology letter to her father so that she would be allowed to attend Sontag’s college graduation, Sontag refuses. Enough was enough for her. The versions of ourselves we present to the world are perhaps the versions of ourselves we most want others to know. We split and divide at the core, recreating ourselves, until we determine the perception we best like. . . . I was sad knowing that I could never go back . . . . That returning would not be reconciling with Mom and Dad but arriving in a place where I was creating ways to live, not just trying to survive. (258-259). My momma-in-law recently hooked my oldest daughter on the Nancy Drew Mystery Stories written by Carolyn Keene. Telling how she used to ride her bike as a young girl to the library in order to exchange read books for the next couple of books in the series, my mother-in-law noted how the librarian suggested she should be choosing more elevated reading. Of course, my daughter and I giggled at the thought of a librarian doing anything but praising a child for reading. 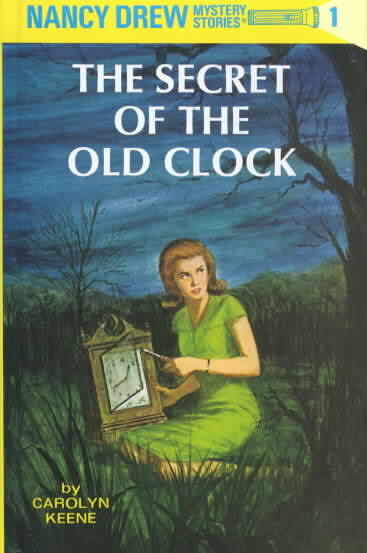 Never having read any Nancy Drew myself, I borrowed the first novel, The Secret of the Old Clock, from my daughter. The first line drew me in, but not in the traditional, “I was hooked by the hook of the novel,” kind of way: “Nancy Drew, an attractive girl of eighteen . . ..” (1). Granted, this novel in question was first published in 1930, but it is interesting to recognize the stylistic differences. 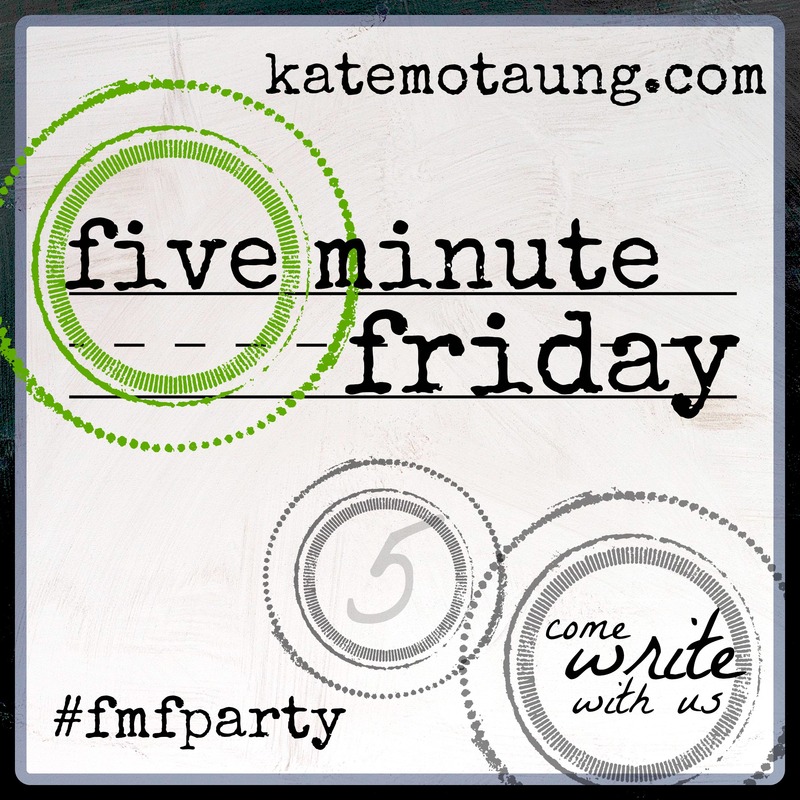 A few lines further, the reader learns just what defines attractive, “. . .blond, blue-eyed . . ..” (1). Nancy’s father, a prominent lawyer in town is described as ” . . . her tall, handsome father . . ..” (13). Yet, the reader never learns what “tall” and “handsome” looks like to the author. So, was there a generally accepted ideal of “tall” and “handsome” during this time period? I could continue with the exploration of Nancy being a recent high school graduate, yet there is never any mention of a job or college aspirations. Instead, she finds it “‘ . . . fun to help in his work . 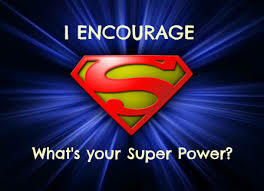 . . [because] Dad depends on my intuition'” (1). Okay, seeing I could write a thesis for a women’s studies course based solely on page 1, I had better move along. As for the story itself, it was refreshing to read a young adult novel which actually made me think, use deductive reasoning, draw conclusions, etc. I appreciated, of course, the beautiful grammar and mechanics and elevated word choices. In addition, reading about a protagonist who truly cared about other people she came into contact with is a welcome addition to any young adult novel.